14ft trampoline safety enclosure with 8 posts. This complete safety enclosure fits all round trampolines that have a 4.27m diameter, even those that are not France Trampoline. 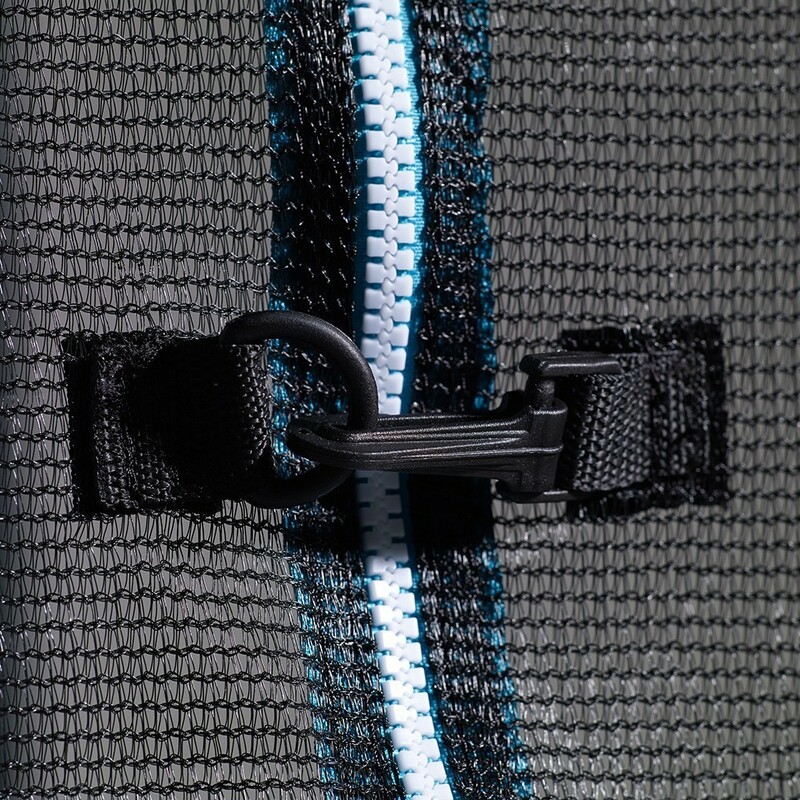 - On the inside and outside there is a vertical zip that makes opening the door easy for the jumpers. 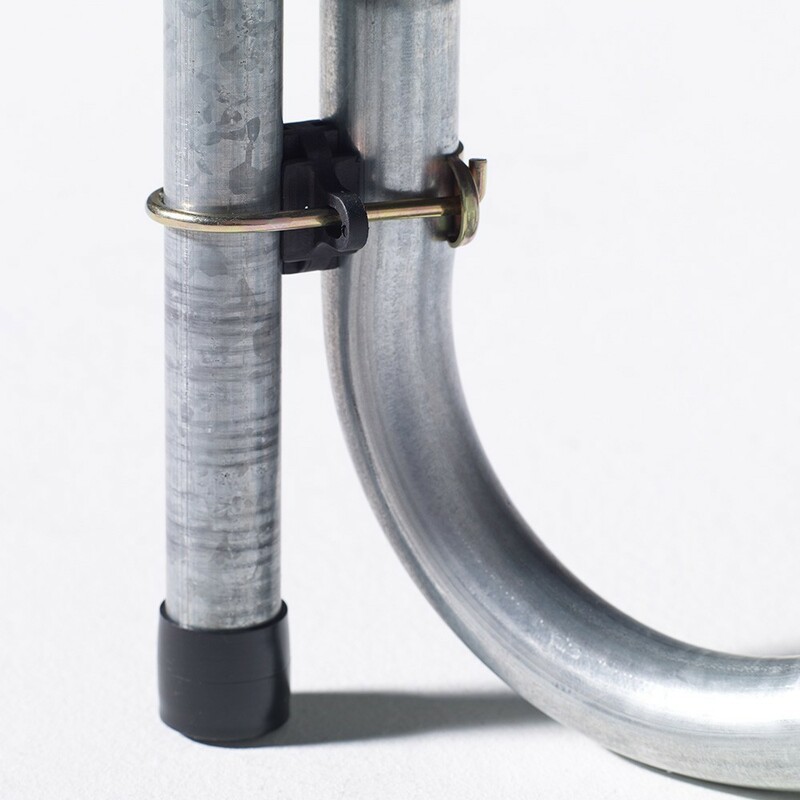 This system allows for a complete lock, guaranteeing the jumper's safety as they cannot fall off the trampoline because of an opening in the safety enclosure. 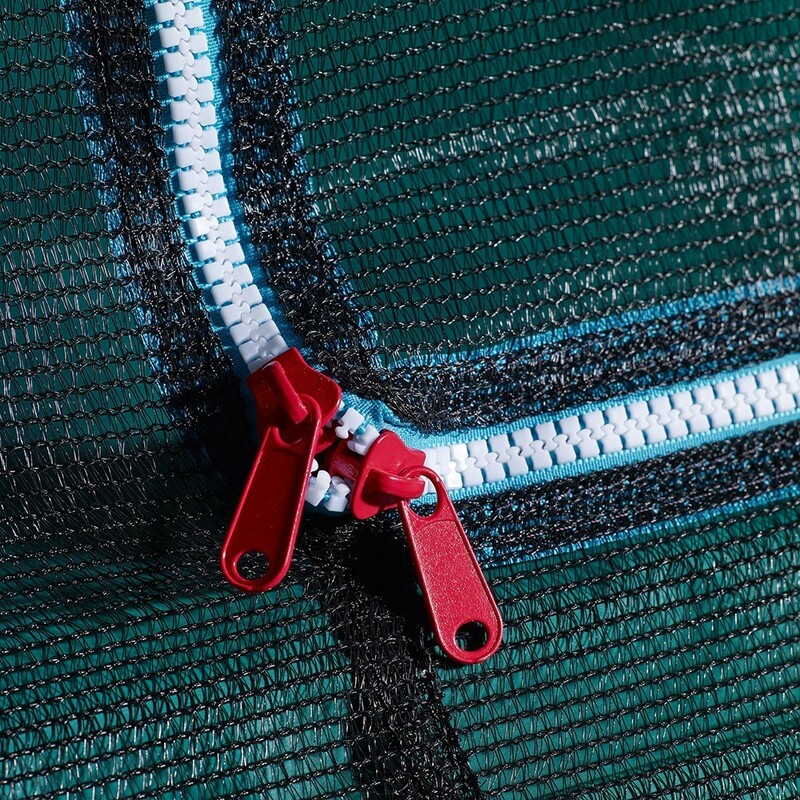 - Made from fine mesh polyester, it is solid, protects jumpers and prevents children from catching their fingers in the net while using the trampoline. 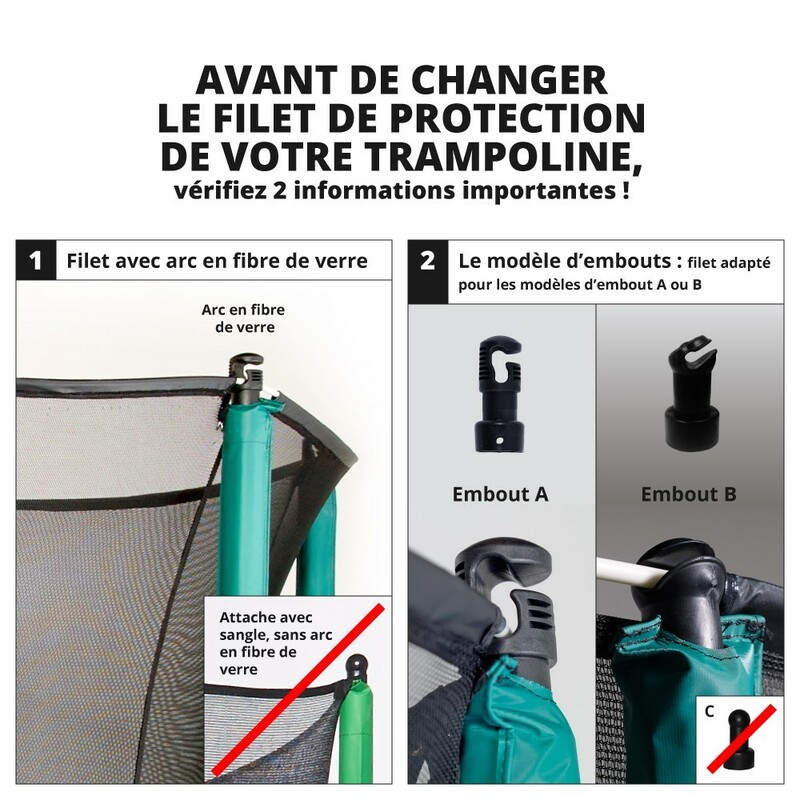 - The safety enclosure is secured to the trampoline with its fixings under the frame pad: there is no space between the net and the pad preventing any falls from the trampoline. 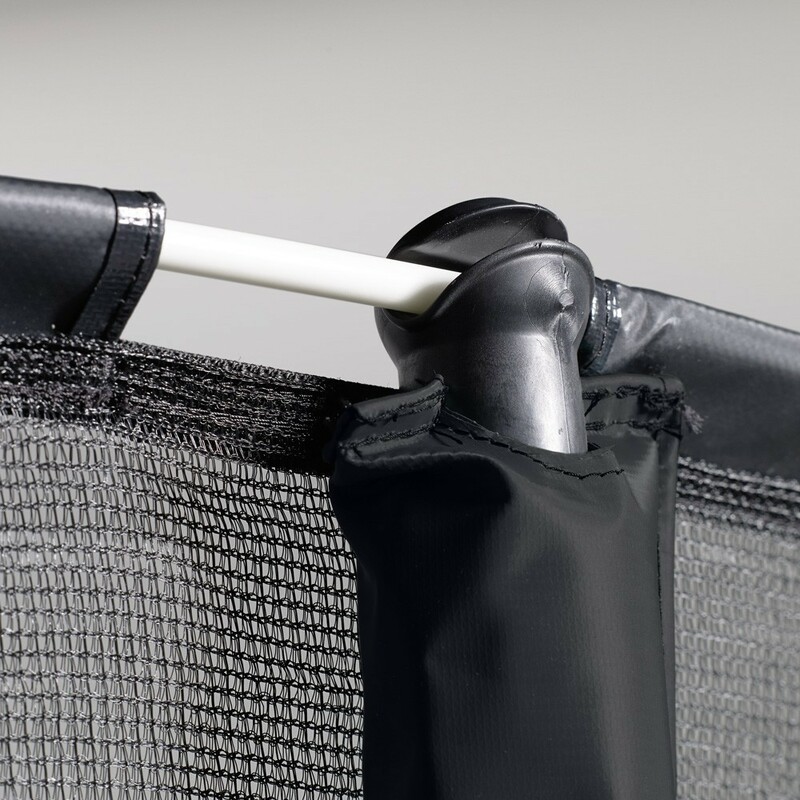 - The complete safety enclosure with its 8 32mm wide posts that are placed on the ground providing additional stability to the trampoline. 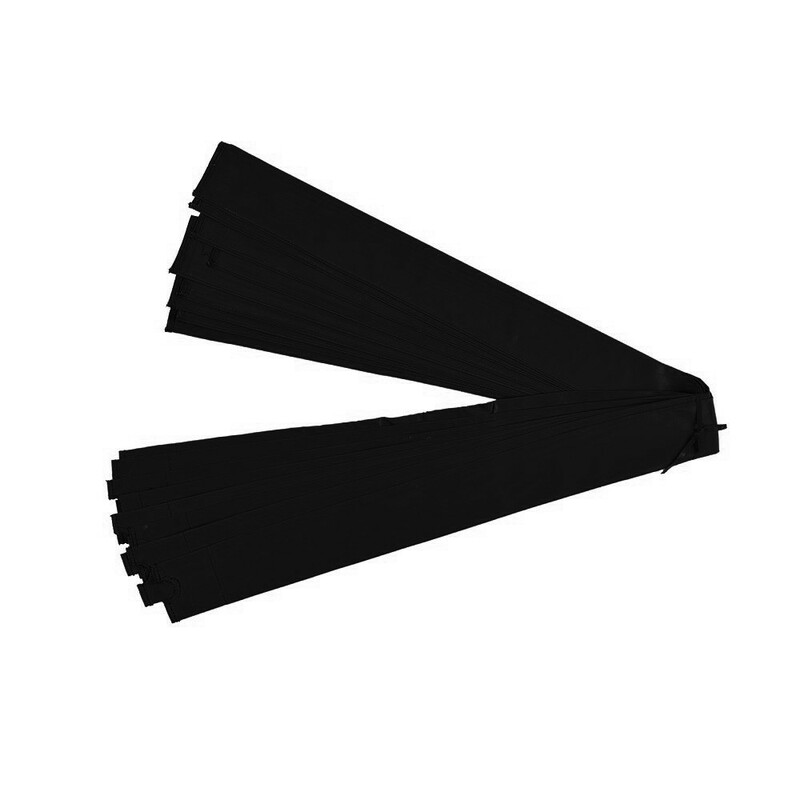 - The posts are covered in foam, cushioning any shocks, which is recovered in a PVC sleeve resistant to UVs. The jumper cannot injure themselves if they bang in to a post. - They are made from galvanised steel which makes them resistant allowing you to leave them outdoors all year round. 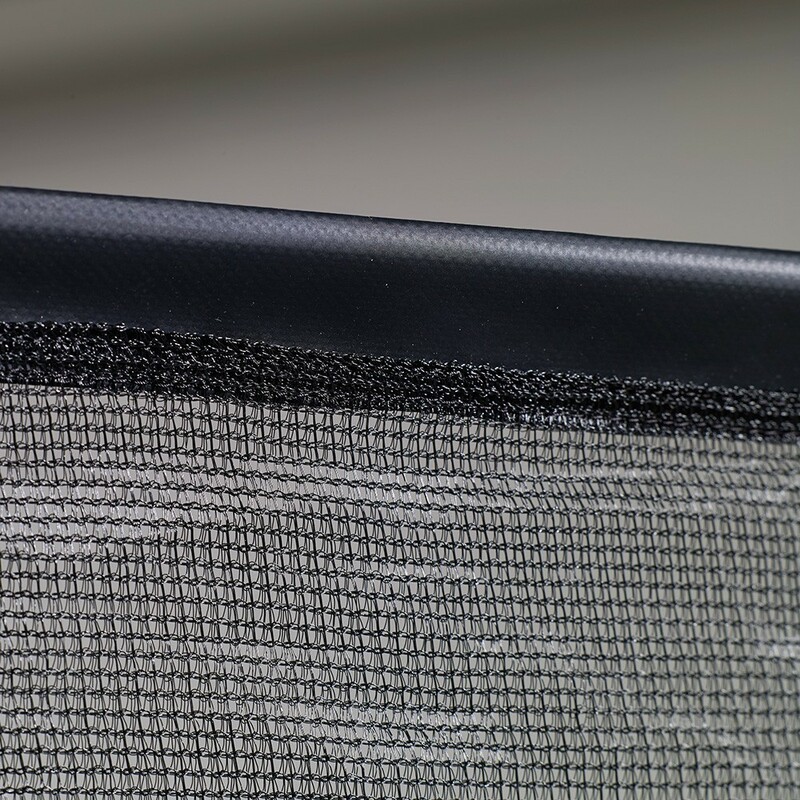 - The fiberglass rods found at the top of the safety enclosure guarantee an excellent tension of the net and resistance to impacts. 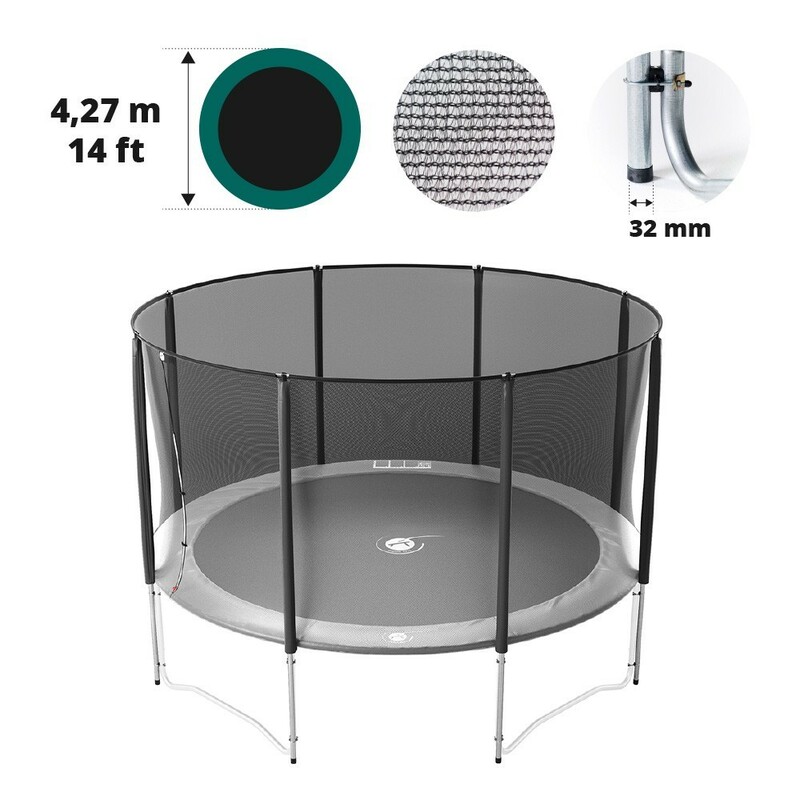 This net fits all round trampolines with an exact diameter of 4.27m. It is suitable for all our Jump'Up 430 trampolines sold since April 2016.